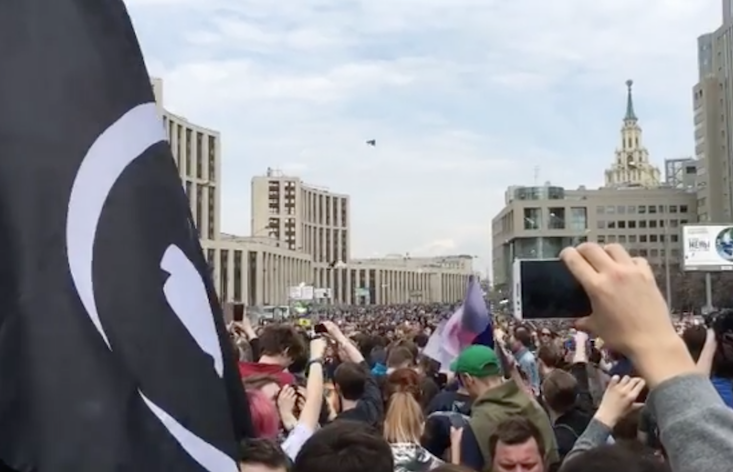 Thousands of demonstrators gathered on Monday in central Moscow to protest against the Russian government’s ban on encrypted messaging app Telegram. More than 12,000 people attended the demonstration on Monday, a public holiday, according to independent monitors. Moscow police said there were 7,500 people present. A Moscow court ruled to block Telegram on 13 April, alleging that it had violated anti-terror laws by refusing to handover encryption keys to state security services. Media watchdog Rozkommnadzor has since blocked millions IP addresses in a bid to stop Russians from accessing the app, disrupting thousands of websites including online payment systems and a number of news sites. Telegram meanwhile, still remains operational for the majority of Russians, many of whom have continued to use the app. Even some Russian officials have continued using Telegram. Prominent Duma deputy Leonid Slutsky activated his own Telegram channel on the same day that the court ruling began to be enforced and President Vladimir Putin's spokesman, Dmitry Peskov, has said that the app still works for him.